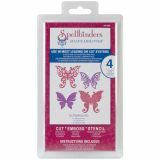 Spellbinders Shapeabilities Dies - SPELLBINDERS-Shapeabilities Dies. 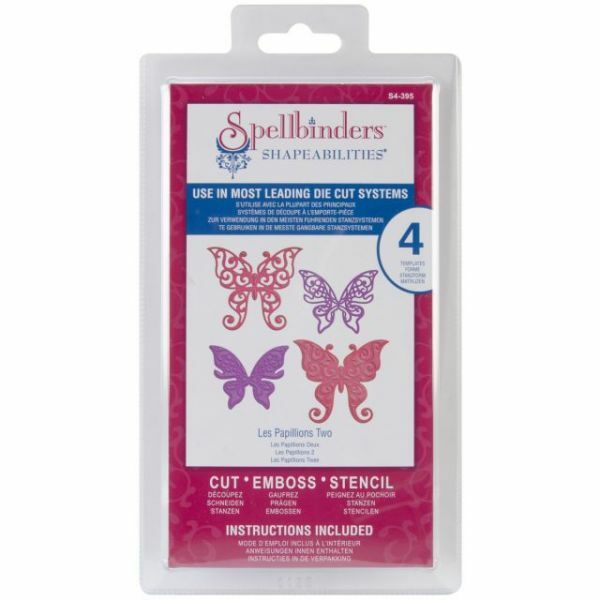 Shapeabilities can be used in most leading die-cut machines and can virtually do it all! 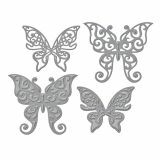 Cut beautiful embossed die cuts or stencil through the die for added impact. 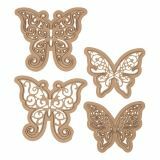 This package contains Les Papillions 2: four dies of assorted shape and size in a 9-3/4x5-1/4 inch package. Imported.